Chikamasa floral scissors! As practical as they are beautiful Chikamasa garden scissors have the sophisticated precision of Japanese steel coupled with the sleek easy grip of the floral snips. If you are looking for the perfect snip that will last you a life-time, consider the CRI360SFV for a sharp tip to pick a flower for your loved one, or some fresh herbs from your garden. 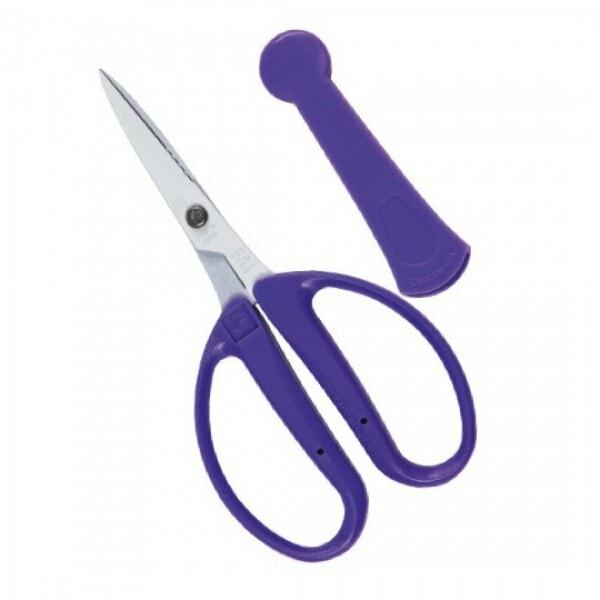 Equipped with a unique wire cutting groove to snip thin plant wire without damaging the scissors. The CRI360 series are ideal for wet trimming, cloning, de-leafing, as well as general harvest plant preparation. *I have personally cut myself multiple times with these particular scissors, VERY SHARP!